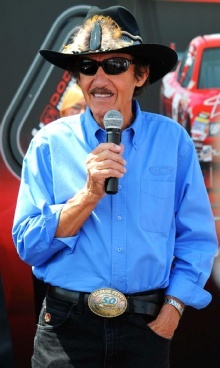 Richard Petty is a famous Athlete from USA, he is 81 years old and still alive, born July 4, 1937. Richard Lee Petty (born in Level Cross, North Carolina) is a former driver in the American racing series NASCAR. He is best known for winning the NASCAR Championship seven times, a record high of 200 løpseire during his career, victory in the Daytona 500 seven times and 27 wins (ten of them in a row) only in the 1967 season. Petty started in the 1185 race and was named the most popular NASCAR driver nine times. Petty is a second generation driver. His father, Lee Petty, won the first Daytona 500 race in 1959, and was also the NASCAR champion. Richards son, Kyle Petty, is also a famous NASCAR driver. Tragically enough, Richards grandson, Adam Petty, was killed in an accident at New Hampshire International Speedway on the 12th May 2000. He is born under the zodiac cancer, who is known for Emotion, Diplomatic, Intensity, Impulsive, Selective. Our collection contains 9 quotes who is written / told by Richard. "Now they're getting so politically correct you can't even stick your tongue out at somebody"
"If guys don't respect themselves, they don't respect other people. That's times and personalities. And all of them are not that way. But it don't take but one or two to screw up the whole crowd"
"I don't know if it was much of an interview. We just shot the breeze"
"If there are 10 people there, two or three are going to recognize you"
"I'd rather be called King than other things I've been called"
"Cotton Owens was leading and daddy was second. They came up on me and I moved over to let them pass. Cotton went on, but daddy bumped me in the rear and my car went right into the wall"
"Cats know, comin' out of four, they better be standin' on it, else they'll be standin' in it"
"I quit driving, I'm not retired"
"No one wants to quit when he's losing and no one wants to quit when he's winning"